All our products are Guaranteed for One Full Year, provided that the returned product is at least 70% full when received back at our warehouse. We feel that gives our customers a good opportunity to use and evaluate our product. Why is our warranty so complete? First, our products are second to none, and we have very few products returned. Second, we want you to feel confident enough to plan ahead and stock up with several cartridges. You should never have to worry that if you open up a cartridge six months later and it doesn't work, that you are out your investment. Each of our remanufactured inkjet cartridges has been electronically tested to ensure proper functioning of switches and resistors within the nozzle firing mechanism. State of the art filling equipment is used to meter the fill levels of all of our remanufactured ink cartridges. 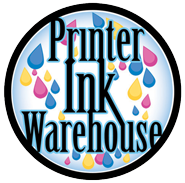 We can assure you that all our ink cartridges can create crisp graphics and sharp text for all your printing needs. For best results, shake the new inkjet cartridge four or five times before opening the package. Remove the replacement inkjet cartridge from its package. Do not touch any chips, or electronics, that may be on the side of the cartridge. Doing so may prevent normal operation and printing. Note: Do not shake used inkjet cartridges, as they may leak. We visually inspect every remanufactured HP inkjet cartridge and Lexmark inkjet cartridge to ensure there are no cracks or chips, peeling of electronic circuitry or damage to the print head. We use state of the art filling equipment to meter the fill levels of our inkjet cartridges and to create the necessary balance in our inkjet cartridges in order to print properly. At this station, we again inspect the cartridges for cracks and leaks, as well as, test the cartridges for proper ink flow from their print heads. We offer free same day shipping on all orders over $45, and you may save up to 80% over retail price on compatible and remanufactured inkjet cartridges. Shop with us for cartridges and refill kits for your machine at unbeatable prices without compromising genuine quality and service!